In part 1 of this series, I talked about some of my personal experiences with the phenomenon known as External Qi Transmission (EQT). Check out the article here if you haven’t already read it. Energy transmission seems to be a popular topic. And why shouldn’t it be? We live in an exciting time when we can corroborate ancient Eastern theories about energy with modern science. More importantly, the Internet allows us to have interesting discussions, and to share our experiences. I hope that this article inspires some of you to share your own experiences in the comments below. Speaking of your experiences, I’d like to start with one of the most widely recognized forms of energy transmission in the U.S. — Reiki. I’m not a Reiki expert, but many of my students are. In fact, one of them is a well-recognized Reiki teacher with hundreds of students. From my conversations with her, I understand that there are some fundamental difference between Reiki and EQT. Reiki was developed in 1922 by a Japanese Buddhist named Mikao Usui, and has since been spread into many different lineages. It uses a technique where the practitioner transfers Universal Energy (or Reiki) through their palms and into another person, mainly for healing. So how does Reiki relate to EQT? Well, EQT is from a Chinese tradition, and had no single founder. It’s as old as Chinese medicine, which mean that it’s at least a few thousand years old. But the main difference between the two is in WHAT KIND energy is being transmitted. Reiki practitioners act as a conduit for Universal Energy. But with EQT, I actually transmit my OWN energy, not Universal Energy. This image was totally photoshopped by a student, but I still think it’s cool. Of course, I originally got my energy from the Universe too. Every day, when I practice Qigong and Tai Chi, I tap energy from the Cosmos (or Nature, or the Zero Point Field, or whatever you prefer to call it). But that energy gradually assimilates into my system, soaking into my 12 Primary Meridians, the 8 Extraordinary Meridians, as well as my main energy storehouse at the lower dantian. The best analogy I can think of is that the energy I transmit with EQT is pre-digested. It comes directly from my dantian, and then goes directly into the student. So the energy is already in human form, rather than in Cosmic form. It’s been in me for some time, and has somehow become more “human”. This may explain why EQT can do things that Reiki cannot. This analogy isn’t perfect, but it may be a good working theory. If you have any other theories about the differences between human Qi and Cosmic Qi, I’d love to hear about them in the comments below. I mentioned that EQT is able to achieve things that Reiki cannot. So does that mean that EQT is superior to Reiki? Which one would win in a fight? That’s like asking whether a wrench is better than a screwdriver. They are different tools. When you need a screwdriver, then a wrench will not do, and vice versa. Reiki and EQT are different tools, and each one has its uses. Choose the right tool for the job. For example, EQT is not a good choice for healing a lot of people. My wife can treat 100 patients per week using acupuncture and integrative medicine. If I tried to do EQT on 100 people in a week, I would probably die from exhaustion. That’s because EQT can be extremely draining for the practitioner. This does not seem to be the case with Reiki. And this makes sense. With Reiki, the practitioner is simply diverting Cosmic energy into the student; with EQT, the practitioner is channeling his or her own, pre-digested energy. I remember my first experience with being drained. I was excited about my progress with EQT, and I wanted to help everyone. So I did EQT in private sessions with a bunch of students, and also opened vital points during group class. I felt totally depleted, sluggish, and I slept all weekend. I also ate a lot more than normal (a pattern I’ve seen repeat over the years.) This was totally uncharacteristic for me, and it was a real wake up call. After that, I was much more careful about not draining myself. Why is EQT so draining? From a Chinese medical viewpoint, transmitting Qi is similar to donating blood. Both Qi and blood are considered precious “substances”. So transmitting energy is similar to donating blood. When I “donate” Qi from my dantian to another person, it leaves me with less energy. As I understand it, a Reiki practitioner should not be drained after a session. So with Reiki, you could help many more people over a week than with EQT. This is why you need to choose the right tool for the job. If you’re a professional healer, and you’re trying to make a living from helping people, then Reiki (or another method) would probably be a better choice than EQT. On the other hand, EQT can be extremely helpful in stubborn cases where nothing else has worked, including Reiki. And if you learn how to regulate the amount of energy you use with EQT, then you can gradually help more and more people without draining yourself. But it’s not easy to regulate the amount of energy. I learned the hard way. Or maybe it’s the only way. Trial and error. When you’re new to EQT, it’s common to use a ton of energy. You’re excited, you’re enthusiastic, and you’re eager to help your student. And you will help them. But you’ll also be exhausted the next day! The problem is that healers like myself tend to be very empathetic. In fact, we tend to help others even when it means sacrificing our own needs. When you genuinely want to help someone, when you empathize with their suffering and want to take it away, then you naturally send too much energy with EQT because of that empathetic connection. With years of practice, you learn how to regulate the flow of energy with EQT, even when you’re being empathetic. But this requires a lot of practice. And you had better be healthy while you’re practicing, for reasons I’ll explain below. It also depends on which techniques I use. These days, I mostly just open the vital points. But in the past, I also used the Sword Finger technique to “loosen” blockages, the Cosmos Palm technique to nourish depleted meridians, the One Finger Zen technique to regulate energy in certain meridians, and the Dragon Claw technique to “pull” negative energy out. All of these techniques were wonderfully effective, but they were significantly more draining than opening the vital points. Now I mostly use them for emergency situations, or for really stubborn cases. For example, I once had a student who had been in a car accident. So I opened her vital points, used the Dragon Claw to draw out some stuck energy, and then used the Cosmos Palm to fill in the depleted areas. I was slightly drained after, but it was no big deal for me. Meanwhile, the session was extremely helpful for the student. EQT is also highly effective for stubborn, chronic cases. For example, I had a student with a years-old knee problem. Nothing was helping, not even acupuncture. I saw him for a few EQT sessions. I can’t remember exactly what I did (later, I started keeping detailed notes), but I probably opened his vital points, and then used the Sword Finger to loosen the blockages in the knee, as well as the meridians that go through the knee. Within a few weeks, his knee was better than it had been in 10 years. Why is EQT effective for stubborn cases like this? I can only speculate based on my knowledge of Chinese medicine. My theory is that the quality of my energy is very important. Although you need a certain quantity of Qi to have a good effect, it’s the quality of the energy that makes the difference. So how do you get high-quality energy? The answer is simple, but some people aren’t going to like it: You develop high-quality energy by practicing Qigong diligently for about 10 years. And remember — it’s not just about building up lots of energy. In fact, it’s more important to cleanse out your yucky energy. During one of my private sessions, a student had a history of breast cancer. She mentioned that she was having some pain on the right side, but didn’t go into specifics. I went to work on the general area, dissipating the blockages using the Sword Finger technique that I mentioned above. After working on her for a few minutes, I suddenly felt a very distinct pain in my own chest. I asked my student a few questions, and it turned out that my pain was in the exact same spot, and of the exact same quality as hers. In other words, her pain had “jumped” into me. I don’t fully understand the physics of this, but the phenomenon has happened often enough for me to know it’s real. If the HeartMath Institute is correct that the electromagnetic frequencies from one person’s heart can have an effect on a person from a few feet away, perhaps that begins to explain this phenomenon. But I don’t need to understand it to be wary of it. Over the years, I’ve had enough close calls with energy “jumping” into me that I know it’s real. And I know that I want to avoid it. The flow of energy is obviously bi-directional. If you don’t transmit Qi just right, then you can get a black-flow of energy into your own system. And that’s exactly what happened with this student. Her negative energy “jumped” into me, almost like a contagious disease. This is another reason why it’s essential for the person doing EQT to be healthy and skillful at Qigong. I was able to quickly clear away the negative energy with a 15-Minute Qigong session immediately after seeing this student. My pain was gone in 20 minutes. But the lesson is important. When you’re transmitting your own Qi, there’s a risk of back flow, even if you’re well trained. I shudder at the thought of people with little training trying to transmit Qi. Even if they are successful with the transmission (it’s definitely possible, but not easy), they stand a good chance of “picking up” some of the negative energy from the patient. This goes against my philosophy of healing. If you are spreading sickness, then you are doing something wrong. It should be the opposite. By healing others, you should also be getting healthier yourself. The reverse is also possible — accidentally transmitting YOUR OWN negative energy to the student. If you’re still unhealthy, if you have pain or some kind of illness, then it’s possible to transmit some of that negativity to the student. Long story short, I felt some of her yucky energy “infect” me during the session. Specifically, I felt extreme nausea after the session. Later, after I did a Qigong session to cleanse myself, I casually asked her about her health. It turns out that, despite being a professional energy healer, she was still suffering from a host of digestive issues. Doctor, heal thyself. This woman was actually quite talented at energy transmission. But I believe she should have spent more time working on her own energy before transmitting it to others. From my perspective, there are 4 likely outcomes when beginners act as healers. They’ll be too new to actually initiate EQT. They’ll transmit their own yuck to the other person. They’ll pick up negative back-flow from the other person. I want to heal the world, but I want to do it efficiently. To me, spreading negative energy isn’t effective. It’s much more effective for people to heal themselves using Qigong, and later — once they are very healthy — to start thinking about healing others. What I’ve discovered over the years has been pretty amazing. With very few exceptions, opening the energy points consistently had a profound effect on the student. Time and again, it seemed to give a major boost to the overall healing ability of the body. Within a few days, they would feel better, sleep better, have less pain, or just be “unreasonably happy” (as one student phrased it). And the results weren’t just subjective. There were also measurable results that acupuncture physicians, chiropractors, and even Western doctors noticed. In dozens and dozens of cases, opening the energy points showed objective effects that physicians could measure using their own diagnostic methods. I especially noticed that patients and students who had their points opened by me often experienced sudden breakthroughs in other healing modalities. Time and again, I would open someone’s points, and then a week or so later they would have a major breakthrough with their chiropractor, therapist, or acupuncturist. This patterned happened too often for it to be coincidental. I like to call this phenomenon Therapeutic Magnification. In other words, the power of whatever therapies you are receiving will be magnified after I open your points with EQT. To me, this is an efficient use of my time and energy. Opening the vital points doesn’t drain me, and it’s very quick. It’s also safe in the sense that I don’t get a back-flow of energy. Once again, this article has gotten away from me. I’ve got more to say, especially about how I view the future of energy transmission. Shall I save it for a third article? What say ye? Um, YES! I want a third! This is very interesting. Do you think people can naturally transfer their Qi, or energy to someone or ‘take’ someone’s ‘yuck’ without really knowing that’s what they are doing? I’m thinking of when my kids get sick. I naturally ‘pretend’ when I’m cuddling them I’m giving them my immunities and ability to fight off the sickness while ‘taking away’ their sickness. Just a mommy kind of thought… but I’m wondering if there’s anything legit to that? Melissa, yes, I think we’re energy beings, so I think people naturally transfer energy in all kinds of ways. But why would you want to “take” your kids’ sickness? Why not just help boost their own immunity? Are you empathizing too much, and feeling like you should sick if your kids are sick? Hehe.. maybe it is empathizing too much. It’s more along the lines of since my immune system may be stronger, I could fight it off easier than they could. I love the detail and openess with which you share your experiences. Was there a point in your practice where you conciously felt ready to work with other people, or did it happen more organically? Thanks, Nick. I’ll say that going to acupuncture school definitely helped me to feel ready. But also remember that I didn’t have a choice when Sifu first forced me to transmit Qi to my student Chris! I was put on the spot. And then later, when my wife was in pain, there wasn’t really time for me to “feel” ready. I just had to do something. Yes a Third Article Please. 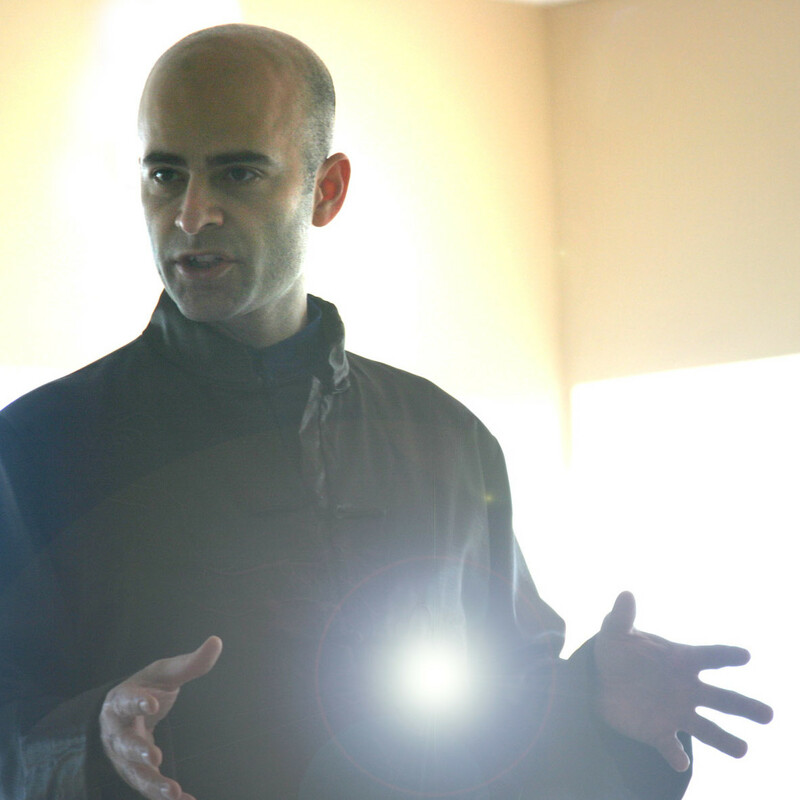 :), It’s very interesting to learn about your experiences Sifu Anthony. Very nice article Siheng thanks! Can you say something about blocking “energy vampires”? Being empathic is not something I can turn on and off (I wish I could!) and so am frequently beseiged by needy souls who leave me exhausted. I’m sure a lot of people experience that phenomenon. Thanks for this article Sihing. I actually ran into backflow and energy drain situations in the past when I did some healing in basically emergency situations. It’s good to have these issues confirmed by you and I’m very lucky that I had methods to bring myself back to balance and health. Very informative article. Many thanks for sharing your experiences. YES, a third article will be great. You have such a great ability in writing. I truly enjoy reading your articles. Crystal clear, easy to understand and fun to read. I took Reiki classes and did Reiki during classes. Unfortunately experienced back flow of energy during the energy sweep process. I totally agree with you that beginners should not deal with energy exchange. It requires a lot of knowledge and training… I believe that even in Reiki, person’s energy gets transmitted with the universal energy (if the person is not highly trained). Yes I want more. I really enjoyed your comparison with Reiki. I practice Reiki and the comparison and points you made really made sense. During a session where I was practicing Reiki, I became very tired and weak. I was told by my Master that I was giving away my Chi to the other person and not exchanging energy. So I can totally relate. I am one of your students and I am looking forward to more. I really enjoyed your comparison with Reiki. I practice Reiki and the comparison and points you made really made sense. During a session where I was practicing Reiki, I became very tired and weak. I was told by my Master that I was giving away my Chi to the other person and not exchanging energy. So I can totally relate. I am one of your students and I am looking forward to more. Wonderful Article. Maybe you can teach some of us healers the techniques. I know first hand how drained one can get from placing hands on the sick. I use many neuromotor hands on facilitation techniques with my patients to improve their ability to move and have found with the complicated cases (patients with strokes and brain injuries) I can be VERY drained with my hands shaking. Of course I put allot into the sessions with enthusiasm and fun sessions. Understanding Qi flow really makes sense to me. When I feel drained I now leave the hospital and go out under the trees for 15 minutes for a Qigong session to replenish my Qi which seems to work. There are those cases where it may take a day or so to recover from the drained feeling. That is when going to class helps me. I am so blessed to be able to come for the wonderful classes at Flowing Zen. It has really enhanced my practice of occupational therapy. A third article would be amazing!! Of course – more please. I wonder if chi energy can be stored somehow or for example how would biomolecules outside the body react – for example a DNA or protein solution. These days scientists also work on breeding organs in the laboratory (with some first successes). It can be interesting how is these organs’ chi without the body. Can they be healthy and strong? Sifu Anthony, so many thanks for your articles! This Qi transmission has been a puzzle for me for a long time now. I had Fibromyalgia chronic pain for 15 years, and I thought it will be healed by practicing taichi, then I met master Philip Lai . I went to Ottawa to study with him to find a new way to practice Qigong and taichi. And he gave me treatment for my pain. If I did not feel it in my body I would not have believed it. Then returning home I had daily sessions with him long distance Qi transmission. With his help and the continuous practice of qigong I am now free of chronic pain. But another master I study with insisted I try the FA Chi Si technique. ( Qi transmission for healing) .So I tried , but I ended up with great spasm in my back for a whole week. I had to call master Lai to ask for Qi transmission to heal the spasm! Please write more I am hungry for knowledge. Keep ’em coming! Love reading about this and very helpful! Thanks for this article, which I found by searching your site for “reiki.” After 42 years of practicing meditation and various somatic arts, and 8 years of practicing and then teaching tai ji and qigong, I just completed my Level 1 Reiki certification. I 100% agree with what you say above about the difference between emitted qi (EQT) and Reiki. I would add that I experience the reiki as both intelligent, especially of emotional intelligence, and loving, qualities that I have not attributed to the qi that we cultivate in our own bodies using internal or external sources in conjunction with tai ji and qigong. (Tho we can always tap into our own loving intentions.) Another characteristic of reiki practice is to not necessarily direct the “energy” toward what the patient or we think the patient needs, but be open to reiki wanting to go somewhere else, do something else. This was/is very hard for me as a Western-trianed physician to back off from wanting to analyze, diagnose, and fix. In my experience, complementary medicine practitioners do the same thing–not that that’s always wrong. (I wouldn’t use reiki alone for someone who came into my ER with a gunshot wound…) I thought I would start a school of Reiqigong and saw that at least two other people (in online sources) are already doing it. Nothing new under the sun. So I will want to study their techniques and results and keep integrating the practices for myself. I would be like to see you do a whole blog on this topic, reiki and qigong. Compare and contrast. I am no Chi Master but here’s an interesting personal experience with the “energy exchange” stuff I just posted. If I’m working with a resident who has a lot of anxiety and is physically shaking, I find that if I give myself a second to calm myself and then let my own “energy” sink, while doing any physical touching of the person especially while their shaking body is connected to mine, I handle their treatment better. If I get into a defensive, resistant mode then I don’t handle the management of their “energy” as well and thus just make myself shaky and the situation more stressful. I have to put myself into a place to receive their shaky energy because I can’t resist that – I HAVE to yield rather than resist it. I’m being totally serious. I need that second to switch gears into calm mode to better handle the situation. I, to a certain extent, transfer calm energy to my patient/resident. Has anyone felt that kind of thing like I’m talking about? I promise I’m still a strong believer in what have achieved with science and medicine and look forward to what we will do in the future. I am not in any way saying we should seek to become gods ourselves, only to do whatever we can to help more deeply understand and care for one another and our planet through any study of all things. My guess is with any Push Hands/Chi Sau training I do with Tai Chi/Kung Fu (Wing Chun), I could further promote my own personal relaxation and thus approach these stressful situations with even more calm to lend to my patients, helping them be more at ease as I help them. And all arts, including boxing, to some certain extent have people laying hands on one another and learning this calming of self exercise while dealing with combative situations. So there you have a personal testimony from yours truly. Keep up the loving work and God bless you all.